Hi! It’s me again, Mary. If you’ve been following our blog, then you know the work we’ve been up to this year. We are now into our second quarter of the FY 15 and are looking forward to accomplishing the completion of our new addition. I am told we should be in the building by October of 2015. A year away, but I know from experience it will go by so very fast. I am excited that GCRC will have the opportunity to continue to offer supports that individuals are requesting. This new building will allow for training in so many areas, but not just any training. 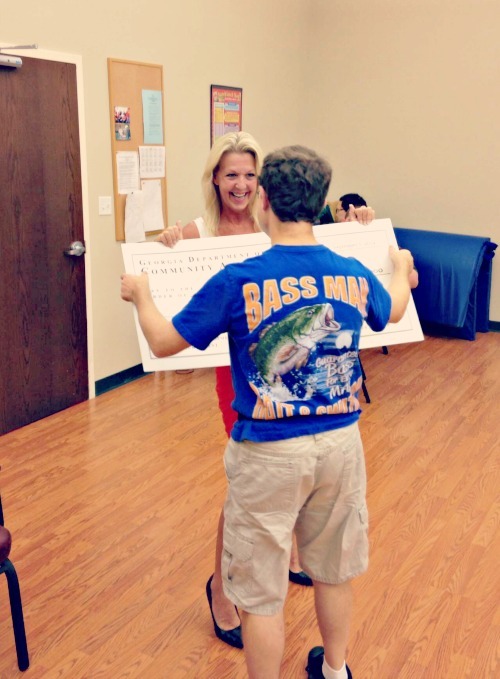 These training opportunities will allow for individual employment, financial management, and independent living. I simply can’t wait. There are also some very big things happening with all of our staff members and this blog will be one of many where you will get to know each one of us here at GCRC on a more personal basis. We are not just employees, just like individuals with disabilities are not just their disability. If you haven’t had the chance to read through our blog, please do. We have introduced a few individuals and plan to continue giving you a chance to know all of us. 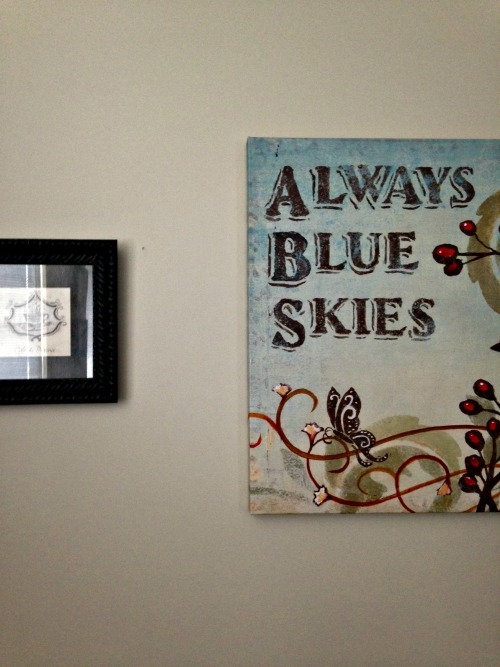 Personally, I am in one of the biggest transitions of any parent’s life. 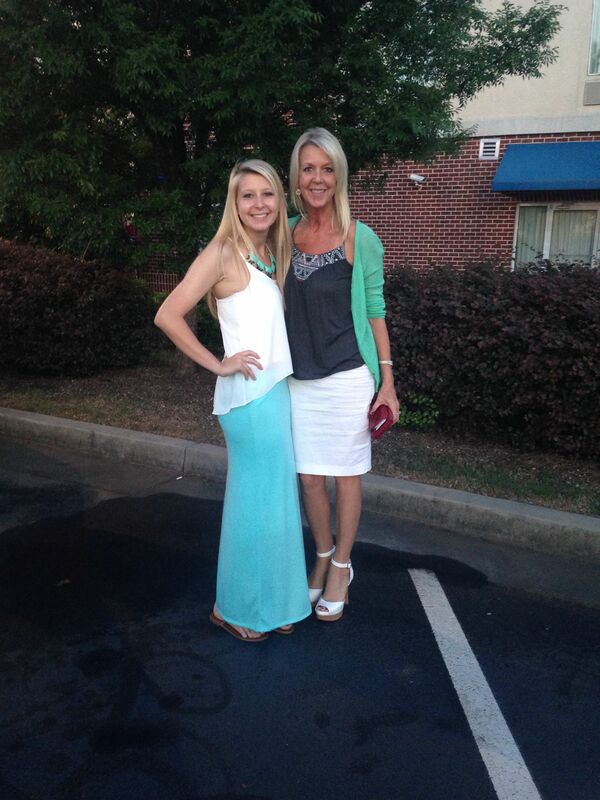 My youngest girl, Kati, is a senior in high school this year. She is also a varsity football cheerleader so I’m sure you know where my Friday nights have been spent. Thank goodness I have warm boots, gloves, and blankets. As a matter of fact, I take enough with me to the games that I could outfit anyone who’s cold. Sometimes, I am entirely covered, except for my face. I must have my eyes peeking out to watch my girl cheer. We all know that’s why I attend. I am beaming with pride at my growing up girl. And I do watch a little football while I am there. Kati graduates in May. Senior pictures are done. Her class ring is bought. Invitations and cap and gown are next and, before I know it, she will be headed off to college, if she ever picks one. She is looking at Georgia Southern this weekend, her sister’s alma mater. She also applied to Auburn University last night. Her grandfather, grandmother, and dad attended there and she kind of wants to follow in their footsteps, too. She is also looking at UGA, Georgia Tech, and the State University of West Georgia. Oh, how I wish she would look at the University of Tennessee. Go Vols! My children have been my life. Three of them are grown and have families of their own. When this baby leaves the nest, I wonder how that will feel. I have been a parent since I was 20 years old. I am now 53, I think. You forget your age often when you get older. There is no longer anticipation of the next birthday, but rather simply trying to remember how old you will be. I find that very funny. One year, I actually told people I was a year older than I really was. How pleasant to finally figure out I was younger than I thought. Anyway, my media and public relations specialist, Wendi, thought it would be a good idea for you guys to see the person behind the CEO and asked me to write up a little something about myself. I hope this will give you insight into not just me, but our staff, our agency, our philosophy of person-centeredness, and how getting to know everyone on an individual basis changes how you see them. This is our goal with our supports and for the individuals for whom we provide those supports. Come by. Visit. Say hello. We would love to meet you, too! 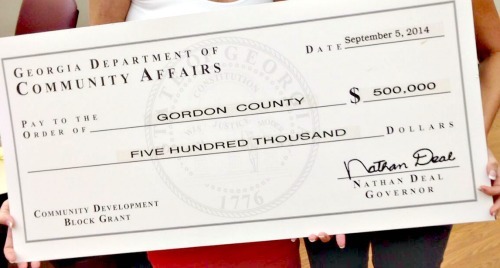 Today, GCRC individuals, families, and staff are still amazed and excited over the recent Community Development Block Grant we received from the Georgia Department of Community Affairs (DCA). I want to express our thanks to our Board of Directors, the Gordon County Board of Commissioners, Gordon County Administrator, Dave Ronningen (Grant Writer), and also to Killian and Clark, (Architects), for their support in applying for this grant in order to ensure that individuals with developmental disabilities will have a state-of-the-art addition to the current agency, which will provide opportunities to fulfill their desires to become fully integrated, working members of our community. I, along with Commissioner Norris Sexton, attended the workshop and award ceremony on September 5, 2014. Commissioner Gretchen Corbin, DCA, was present and offered her words of excitement, encouragement, and pride at the grants that were awarded. Her commitment to growth and economic development of our communities/counties was a prevalent theme in her address to the awardees. There was an air of excitement in the room as each county/city was announced, along with the amount they would receive and what the funds would be used for. I stood in the rear of the room, too excited to sit, daydreaming of the finished product this grant award would produce: a 3,200 square foot addition to GCRC that would include a theater/video production area, a driving simulation room, a banking/financial area, kitchen, Italian style restaurant, and a non-perishable good grocery. I pictured the success of individuals who would soon be learning and experiencing opportunities that would allow for independence. I pictured the choices for each individual to learn to drive, manage their own dollars, and gain the skills to be competitively employed. I could not help but shift from foot to foot, and smile like a cheshire cat, in anticipation of Gordon County being called up. The list was long and G seemed so far removed from A with all the counties involved. For a brief moment I was able to speak with the Dave Ronningen, the Grant Writer, and Brent Allen, DCA Field Representative for the North Region, and could barely contain my excitement and thankfulness to them for believing in the project and providing the opportunity to receive the funds to make it happen. Suddenly, Gordon County was next on the list, and true to my word, I began to sashay down the aisle. I smiled back at Dave, who grinned and remained in his spot. After a brief dance move and twirl, I walked with Commissioner Sexton to the front of the room to shake hands, say thank you, smile for photos and make sure all involved knew the depth of gratitude from Gordon County and George Chambers Resource Center. As Norris and I reached the rear of the room and took a spot back beside Dave, he stated, “I’m so glad to see your excitement. We don’t see that kind of joy that often over these grants.” That excitement I felt at that moment is the same excitement still felt by each staff, family, board member, community member, and individual involved in the supports and work of George Chambers Resource Center. We want to thank this entire community and all who played a part in making this happen. We can’t wait to break ground, complete the project, and share an open house with you all. Until then, we will continue to keep you posted with pictures and progress as the project takes place. And, as always, we welcome you to stop by anytime for a visit and get to know GCRC. The George Chambers Resource Center (GCRC) is coming to the close of its 13/14 FY and what a year we’ve had! We would like to thank the many individuals and businesses in our area who are responsible for making this FY one of our best. As a private non-profit, GCRC depends on the support and generosity of all community members in maintaining progressive and expansive services for individuals seeking our services and support. This year we have been fortunate to receive continued support from the United Way of Gordon County, Mohawk Industries, Shaw Industries, Home Depot of Calhoun, Belwood Nursery, Calhoun Kiwanis Club, WJTH, Gordon County and Calhoun City Schools, Calhoun Women’s Club, Calhoun Convention Center, GCRC Board of Directors, Gordon County Government, and the City of Calhoun. We are also fortunate to have the support of many community members, Nancy and Sam Ratcliffe, Photography for our 1st and 2nd Annual Prom events, Derrick Williams with Dukes BBQ, Kris Jewell with WJTH, Viridiana, aka Vinnie and Ray Stone with Belwood Nursery, and last, but certainly not least, GCRC staff and the many families and individuals who have selected GCRC as their service provider. This year has been a year of changes. We here at GCRC share a united philosophical approach to our reason for being a service provider of developmental disabilities, and this shared philosophy has been the drive behind our changes. We believe that all individuals within the community contribute to the community at large and that all individuals should have the opportunity to be involved. We have taken a look at exactly what being a service provider means and have determined that our path is not a path that should be just a business. While we certainly must follow a budget, offer a service, and maintain the business aspect of our organization, we feel the real work we are trying to do is debunk myths, ensure the rights for individuals, advocate and integrate to the point that maybe one day our services will no longer be needed. That’s a powerful statement! Our services may no longer be needed? Correct. If we do the work the right way and the community involvement supports our work, then a change will occur. Communities will reach a higher level of understanding around valuing, employing, and involving all members. Once that level of commitment is reached, then you will not need us to make sure individuals with disabilities are integrated. You, as a community whole, will naturally embrace all members, including those with developmental disabilities. Until then….here is what we have been up to this FY and our plan for the upcoming 2015 FY. GCRC held its second annual prom on May 17, 2014, with 100 people in attendance. The night was filled with dancing, singing, food and fun. A prom king and queen were chosen and last year’s prom king and queen honored. The theme was, “The Time of Your Life” and it was certainly appropriate. You can see pics on our Facebook page. Please take a look. Next year, we plan to change the title to the GCRC Ball and will extend an invitation to all community members to join us in the fun. You can even participate in the voting of our King and Queen. GCRC, with the support of the Gordon County Board of Commissioners, has been able to apply for a Community Development Block Grant (CDBG) This grant, if received, will mean a 3,500 square foot addition that will house a theatrical area, driving simulation training area, a mock Italian restaurant, a kitchen, for cooking those vegetables grown in our greenhouse project, a grocery store for the actual purchasing of non-perishable goods, a banking area and a therapy area. These will be our areas for training that will ensure those “rites of passage” missed by individuals can be fulfilled. We believe it is an overlooked area of an individual’s life; the rite of passage to turn 16, get a car, and then a job (cause you gotta have fuel), and eventually move into your own place in the community. We have many individuals who desire this opportunity and we intend to support those desires. Does this mean that once all of these goals have been accomplished we stop our support? No, unless we are asked to. We provide many services and can continue supports in the form of Community Living Services, helping support individuals to live independently in their own home. Other individuals may want to pursue other avenues, such as, employment, yet still live at home with their family, and they may not want to drive a car. We can still support those pursuits and provide the needed transportation and employment training. Keep your fingers crossed for us for this Block Grant. 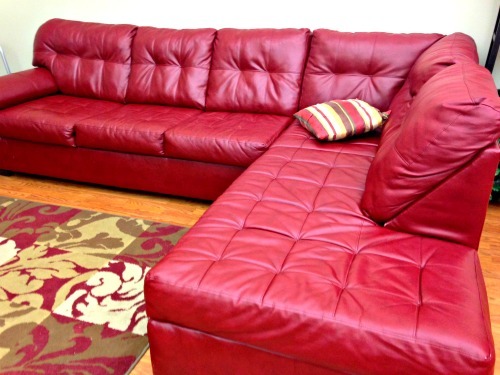 Our agency has tripled our services over the last two years and we must have the additional space. 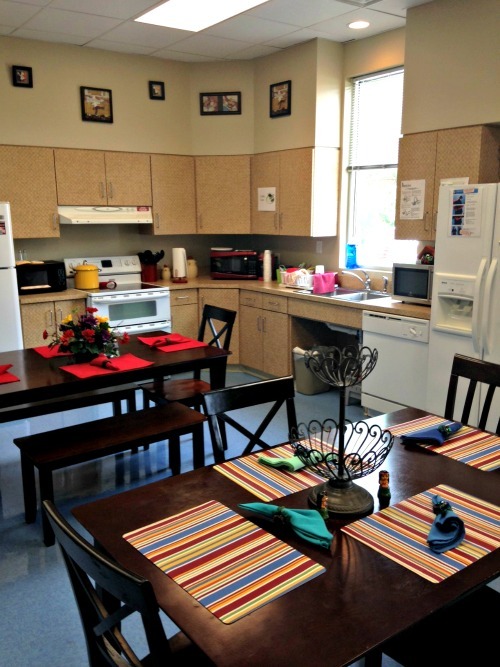 GCRC has completed the renovation of their dining area, their coffee shop area, and the personal care room. During FY 12/13, we came to the realization that our agency was, in subtle ways and without meaning to, devaluing the very individuals we served. We took a look around and took real notice of the type of furniture we were using. While the staff and visitors were afforded comfortable, although faux, leather chairs, the persons who had chosen us as a service provider were seated in plastic chairs at plastic tables. Should this matter? Sure. It sends a very subtle message about importance. We determined that we wanted to send a message that everyone was “equally” important. We were able to write a grant request to the Ratner Foundation and with their financial support were able to purchase comfortable, oversized, cushioned chairs and very nice blonde wood training tables. Additionally, GCRC was able to write a grant request to Mohawk and this provided the financial means to renovate the dining area and a personal support area. Shaw Industries, Kiwanis, and the Calhoun Women’s Club purchased items and completely redecorated a training area into a coffee shop, complete with recliners, coffee service, and music. This area is used by individuals who just want to relax. They may not want to be in service mode for an hour, or two or three. They just relax. This is not a billable service, but remember it is not all about the money. Developmental Disabilities Services are a non-retirable service. You can’t retire, no matter your age, and still keep the service. We have individuals who are aging and don’t want to be in full services all the time, but still need our supports. 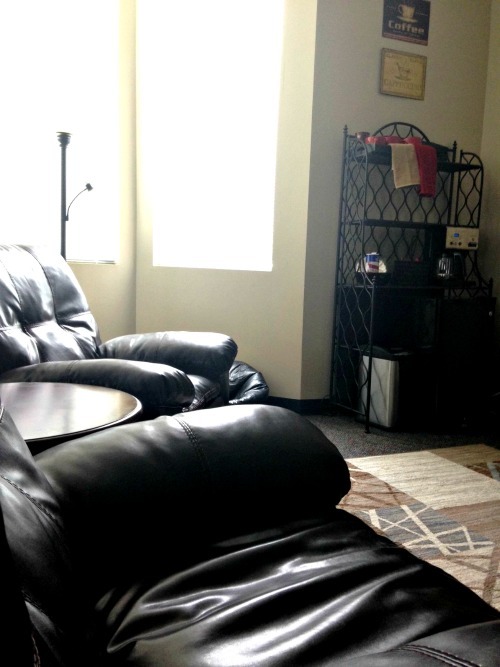 We offer home services based on these needs, but folks still want to get out and about, so we created a spot to relax for a bit if someone gets tired while they’re out and about. Trust me, these changes in just furnishing certain areas, have made a difference in how people value others and themselves. If you have an opportunity, please take a look at our Facebook page, The George Chambers Resource Center, Inc., and you can see pictures of our changes. While there, please “Like” our Facebook page and you will receive regular updates on our community involvement. During FY 15, beginning July 1, 2014, look for us to be active in our community with the following programs/initiatives. GCRC is involved in some very innovative and progressive changes for the upcoming FY 15. We are currently working with the the Department of Behavioral Health and Developmental Disabilities (DBHDD) and their joint agreement with Vocational Rehabilitation (Voc. Rehab) to take part in a “Supported Employment Pilot Program” set to begin on July 1, 2014. This program will actually be responsible for developing new rates for providers for Supported Employment Services, and will support at least 10 of our individuals and/or individuals identified by Voc Rehab and DBHDD in the pursuit and successful establishment of a job in our community. Much of the work on this program will be time limited and will have goals and expectations we must meet as an agency in order to be successful. A second program we are involved in is an additional supported employment “initiative” begun by the DBHDD Region 1 Office and their Quality Council. Region 1 includes Banks, Bartow, Catoosa, Chattooga, Cherokee, Cobb, Dade, Dawson, Douglas, Fanin, Floyd, Forsyth, Franklin, Gilmer, Gordon, Habersham, Hall, Haralson,Hart, Lumpkin, Murray, Paulding, Pickens, Polk, Rabun, Stephens, Towns, Union, Walker, White, and Whitfield counties. The GCRC has two members of its staff, myself and Sarah Stone, and a consultant who is an expert in the area of Supported Employment and a former State Office DBHDD colleague of mine, Kate Brady, who have been involved in helping establish two workgroups that also includes members of the State Regional Office, whose main goal is to educate families, community members, business leaders and employers in the community on the employment of individuals with developmental disabilities. The two workgroups, one for the families and one for the business community, intend to hold portable Family Cafes with family members and Business Meetings with local Chambers of Commerce and employers in the community. We have now identified the first of the counties to hold these meetings and are working on dates, times, motivational speakers, and locations. The counties identified are beginning in Dade County, down to Floyd, over to Cherokee, up to Fannin and back over to Dade. This is a perfect square on our state map and right in the center is Gordon County. The first Family Cafe and the first Business Meeting sessions will be held in Gordon County and we will be seeking a location once we identify how many families we can expect. The number of families identified should be completed at our June 11, 2014 meeting. As the Chair of the Family Cafe Committee, and the Co-Chair of the Business Committee, and a representative of our county’s developmental disabilities services, I want to see our county take the lead on this initiative and be known as a progressive community in the area of employment for individuals with developmental disabilities. Keep your fingers crossed that we receive the CDBG in the fall of this year and work can begin on the addition to the agency. We are just a few numbers away from full capacity for services and in order to meet the need of upcoming graduates who may request our services, we must add an addition to the agency, or should we not receive the CDBG, seek an additional location to expand our services. GCRC will be working closely with our Board of Directors to revise our Mission and Vision statements. We feel this is an important step based on the changes to the agency during the past FY. We want to make sure both statements speak to our belief in full integration of individuals with developmental disabilities. We will hold the GCRC Ball in May of 2015 and are extending an invitation to you all now. Please mark a tentative date on your calendar for May 16, 2015. We thank you all for your belief in the work we do and for your support, advocacy and friendship. If I did not mention you by name or business, please know you are ALL valuable to us! Welcome! At GCRC, we are proud of our shared philosophy in individualization of our services. We want to know who you are, where you’ve been, and where you want to go, and provide any service that will ensure your success. We believe that our reason for being is not complete until we advocate, educate, and provide integrated opportunities, not only for individuals in services, but for members of our community, as well. Our agency is a reflection of this belief and we are proud of the steps we have taken to provide an organization that is welcoming and provides a multitude of services that can be coordinated to meet each individual request. Now that our new website has launched, and the blog is up and running, we’ve seen an incredible response from the community. We’ve begun receiving emails regarding our ability to provide services to additional individuals and we want to thank you all for taking the time to visit and learn more about us. Please know that a site visit from any individuals interested in our services, or families inquiring about future services, for their sons/daughters, are always possible. No appointment is necessary. Drop by anytime! We would love to meet you. Thanks for reading today! 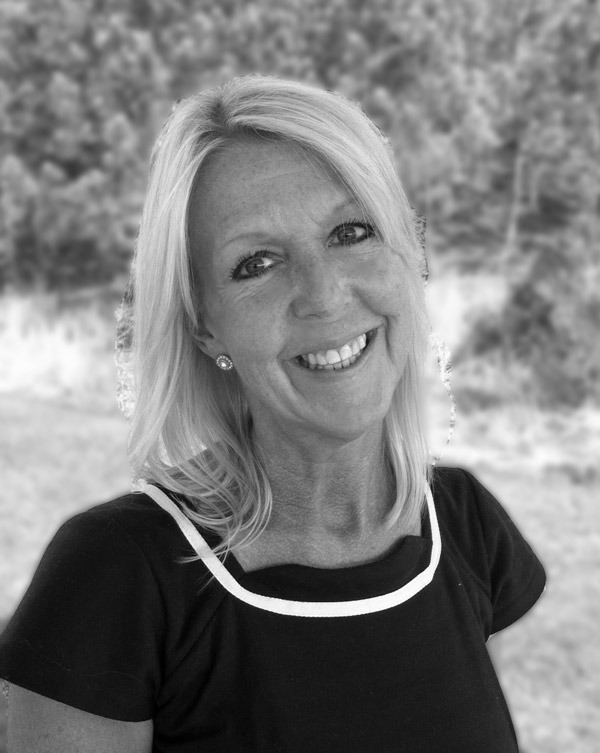 To learn more about Mary, please visit our Who We Are page.